A terrifying story based on real events about a dream-turned-nightmare for a group of teenagers who spiral out of control. The pic follows 17-year-old Euronymous, who is determined to escape his traditional upbringing in 1980s Oslo. He becomes fixated on creating true "Norwegian Black Metal" music with his band Mayhem, and creates a phenomenon by using shocking stunts to put the band's name on the map. But as the lines between publicity and reality start to blur, acts of arson, violence and a vicious murder shock the nation. 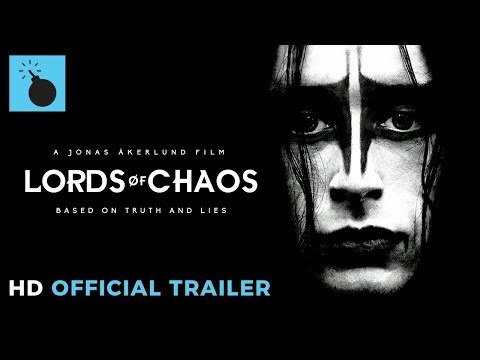 Lords of Chaos was released on 25d ago in the UK and the US. Based on 10 Lords of Chaos Cinema reviews, Lords of Chaos gets an average Cinema review score of 53. The score for all versions is 53 based on a total of 10 reviews. It makes sense since Euronymous is our narrator and the man who set this demonic ball a-rolling, but that disrespect of Varg’s power and mirrored contrast does diminish his effect. Rory Culkin and Emory Cohen co-star in Swedish director Jonas Akerlund’s biopic of notorious Norwegian black metal band Mayhem. "Lords of Chaos"—a new horror film that dramatizes real, heavy-metal-related murders committed in Oslo during the early 1990s—is half-warm, half-frigid. If the music is beside the point, why are we supposed to care about the people who made it?